4" wheels balance bulky loads and weighs 5.15 lb. 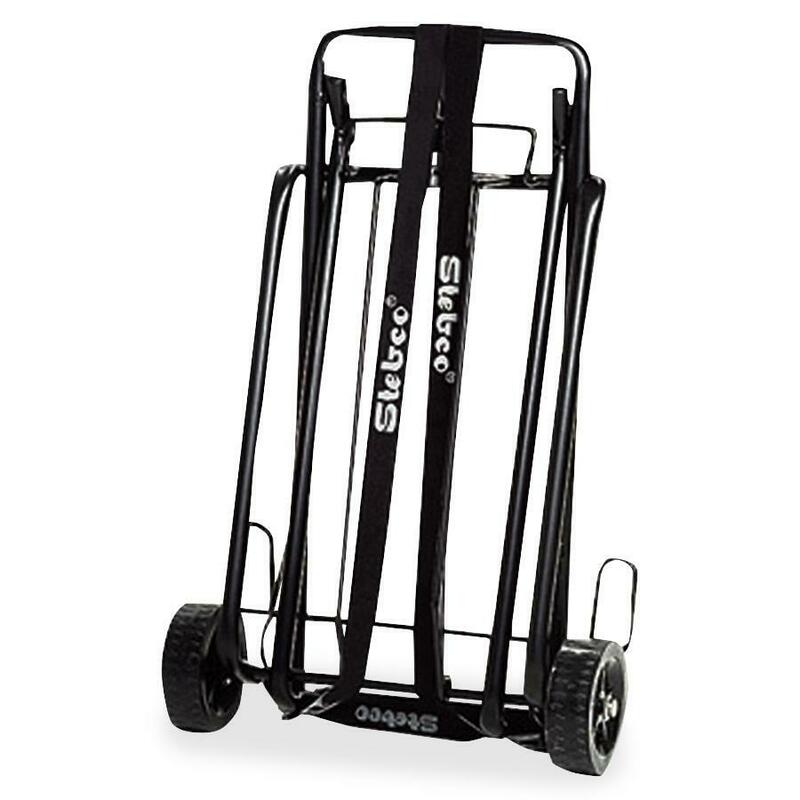 Deluxe portable travel cart is ideal for transporting items from office to airport. Elastic safety cord with wide expansion secures larger loads. Opens with locking brace to transport items weighing up to 125 lb. Travel cart features comfort grip handles, a large 10" x 13" platform and 4" wheels to balance bulky loads. 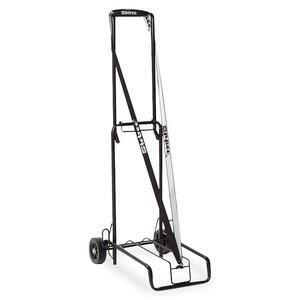 Travel cart has a steel frame and weighs just 5.15 lb.